Your Feedback Goes A Long Way! We’ve been hard at work on some very cool projects, and I thought I’d share some details of one of the things I’ve been working on. Our FAQ has become pretty dated – we’ve made loads of changes to IntenseDebate since we first put that together – and one of my projects has been to beef-up our support documentation to help you get answers to your questions easily. We’ll be launching our shiny new FAQ soon. 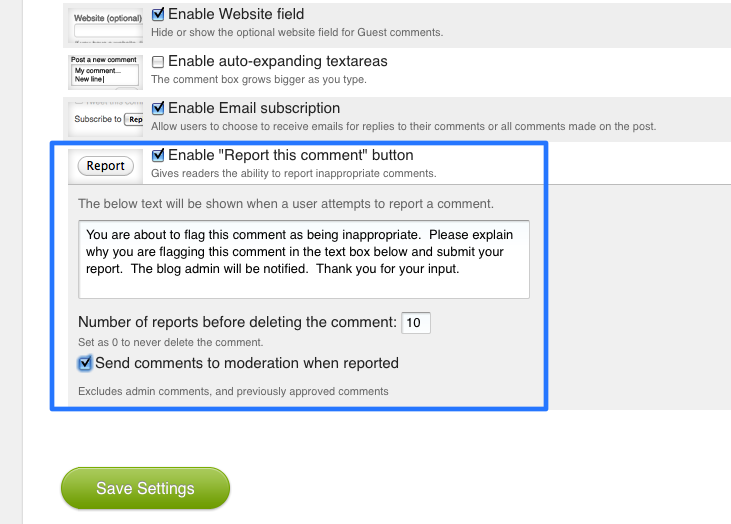 While our goal is to make IntenseDebate as intuitive as possible, we realize that offering robust support documentation is key to helping you get up and running with your new comment system and commenter profile as quickly as possible. I’ve answered thousands of support emails which have helped us identify ways to improve IntenseDebate (nearly all of our user-interface updates and new features are based on your feedback), and that’s also helped craft our new FAQ entries. How was your initial experience with IntenseDebate? Were there certain parts that you were confused about? What helped you get familiar with it? What can we add to our FAQ to help? Whether you’ve installed IntenseDebate on your blog or you use your user account to comment on your favorite sites, your feedback is extremely important to us and we’d love to hear more. Please leave us a comment below and help us improve our FAQ for future IntenseDebate users. There are loads of interesting debates happening across the IntenseDebate network. One of our goals is to highlight those conversations so you can check them out and add your own two cents. We’re all about content discovery, and we’re always looking for new ways to do this. We are kicking off a new series of blog entries that feature cool debates and blog posts taking place across the IntenseDebate network, and we would love your help. Leave us a comment and let us know about interesting conversations and posts that you’ve come across or participated in. If it’s super-cool we’ll feature it right here on our blog and give it some link-love. Keep an eye out for interesting conversations and cool blog posts as you cruise around the interweb. Grab the comment permalink or blog post link (instructions below), paste it in a comment below, and let us know why you dig it. Hover your mouse cursor over the timestamp and right-click with your mouse. 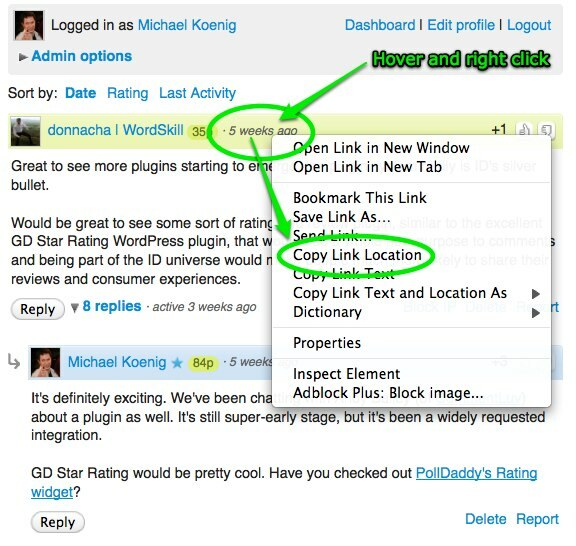 Depending on which web browser you’re using, there will be an option to “Copy Link Location” or “Copy Link”. Select that, and then paste it in your comment below.